JEFFERSON CITY, Mo. – An autograph from former St. Louise Cardinal and Baseball Hall-of-Famer Ozzie Smith will be among the pieces of unclaimed property that will be auctioned off by the state next week. Senior Citizens (age 65 and over) have free admission to all events. 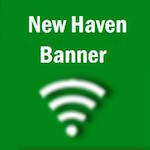 Supporters and fans of The New Haven School District and Franklin County R-II School will not be disappointed this year. It is hard to believe students will be headed back to school in less than a month.